The words of Stefanie, the bride, could be the introduction to their amazing wedding with Alex in the unique and full of charm, island of Spetses. 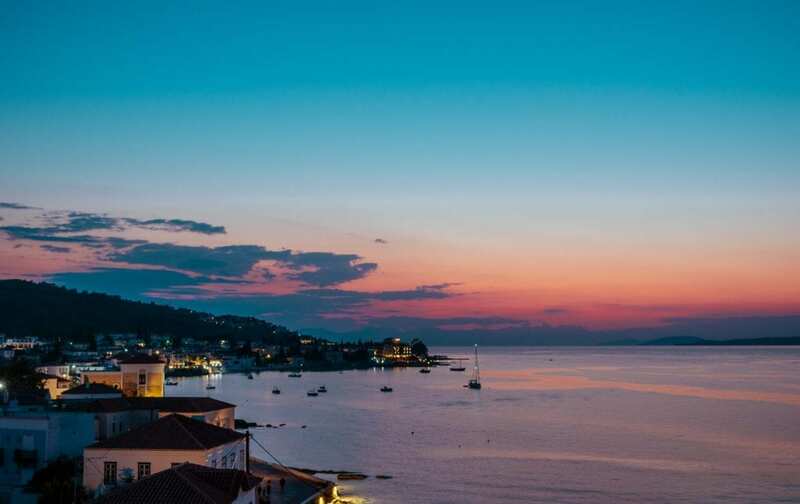 Spetses is an island where time seems to have stopped. The red and white water taxis arriving at the port, the grand mansions, the narrow cobbled streets of the island and since cars are banned on the island, people travelling with horse-drawn carriages. Around the corner from the port opens a wide square that acts as a forecourt for the Poseidonion Grand Hotel, that has been the landmark of the island for nearly a century with its exceptional architecture echoing hotels of Cote d’Azur style and also the venue Stefanie & Alex chose to have their wedding. There on a beautiful balcony on the top floor suite, they welcomed all their guests, family and friends that have traveled to be there with them. 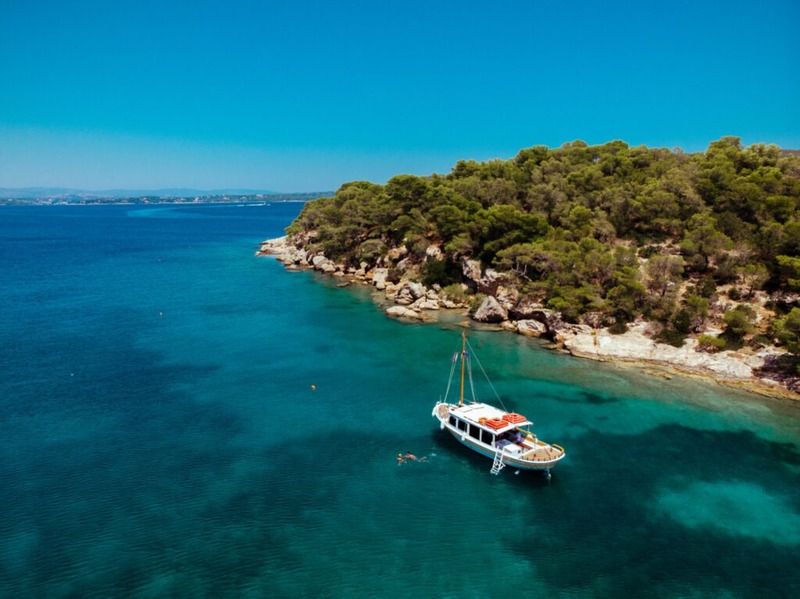 The next day started with Stefanie & Alex enjoying a beautiful boat ride around Spetses and ended with everyone at Orloff Restaurant having some amazing greek food and with lots of excitement for the big day that would follow. The wedding went as someone would expect from two lovely people as Stefanie and Alex. From the preparations of the boys and the girls , to the amazing emotional ceremony at the church of Agios Nikolaos, the stunning candlelight reception at Poseidonion Grant Hotel with ethereal music from Artistic Productions and the crazy party featuring Prestige the Band and Ifigenia, everything was full of grace and elegance, real emotions and unique moments. We are so happy we got to share all these moments with Christy Lagiou, who did an amazing job planning and designing everything and of course working side by side with Thanos Asfis and the Velvet Rose team is always a great experience. We wish you a life full of adventures, with love and happiness to you and your families, we loved spending those days in Spetses with you.